Kick off your summer in the most perfect way possible: doing the Truffle Shuffle. 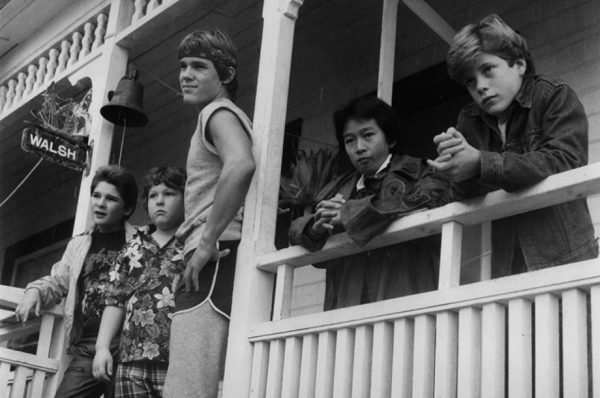 Yes, that most iconic of #OregonMade films is back as Goonies Never Say Die and this time we’re watching it as it was meant to be seen – on 35mm film. This screening is both to celebrate and support the new Historic Oregon Film Trail and its official kick-off in January in Astoria recognizing “Kindergarten Cop,” “Short Circuit,” and, yes, “The Goonies.” There’s a lot more signs and a lot more films for us all to celebrate and we hope you will join us for this one. Tickets will definitely go fast, so book your tickets now. And, just for fun, here’s the original 1985 trailer.